Location, is directly cross from the beach, and price was excellent. 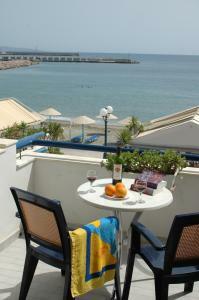 The location was excellent, towards the edge of town but overlooking a lovely beach. The property contained everything we needed for our week's stay. The hosts were extremely friendly and helpful. The apartment was very pleasant, our hosts were extremely friendly and helpful, and the location could not have been more convenient. Dejlig beliggenhed, god lejlighed med skøn udsigt. Η Θέα ήταν φανταστική και το δωμάτιο ήταν μπροστά στη θάλασσα.Οι οικοδεσπότες ο Γιώργος ,Η Βίκυ,η Κωνσταντίνα φοβεροί άνθρωποι και πολύ εξυπηρετικοί πάντα ήταν δίπλα μας για να μας εξυπηρετήσουν σε οτιδήποτε. Placeringen er rigtig god Udsigten fra altaner som vender mod stranden er udsøgt. Proximité de la plage,du centre ville et de la station de bus. Personnel très sympathique,très agréable et très disponible, et de bon conseil pour découvrir la région. Petit plus cette personne parle le français. Solo la posizione fronte e vicino al centro del paese. 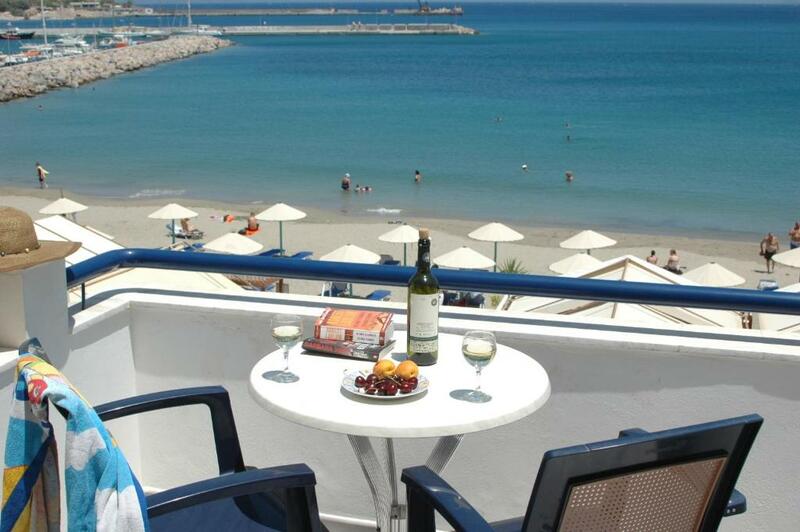 Lock in a great price for Portobelis Apartments – rated 9.1 by recent guests! One of our best sellers in Sitia! Almost on the water’s edge, this small family-run complex overlooks the sea and the countryside. 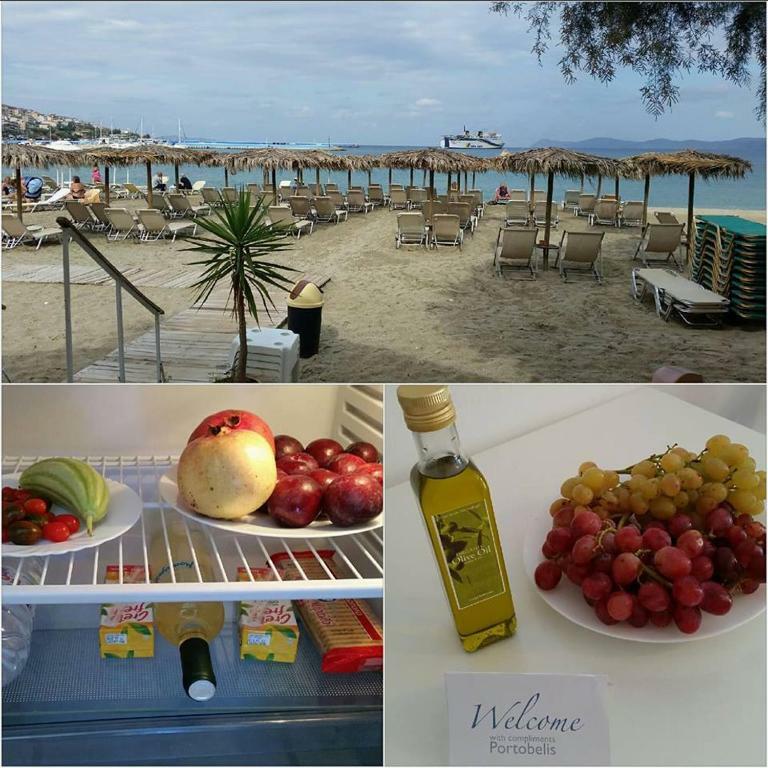 Portobelis Apartments are located on the edge of the town of Sitia, only 30 feet from the nearest tavernas and cafes. 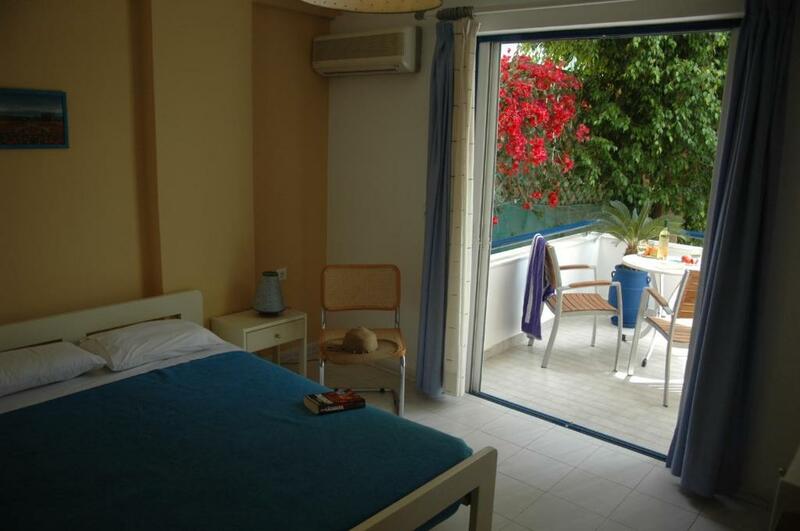 All airy, air-conditioned units have a light décor, reflecting the soft colors of the Aegean. 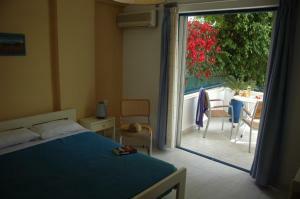 Each unit has a balcony, and some face the sea while others the garden. The privately owned travel agency on the ground floor can assist your travel needs. All other necessary shops, restaurants, mini markets, plus nightlife facilities are a few hundred yards away. 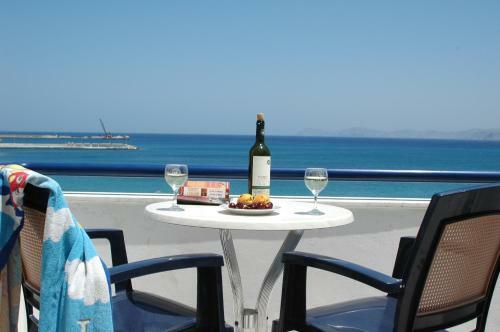 When would you like to stay at Portobelis Apartments? 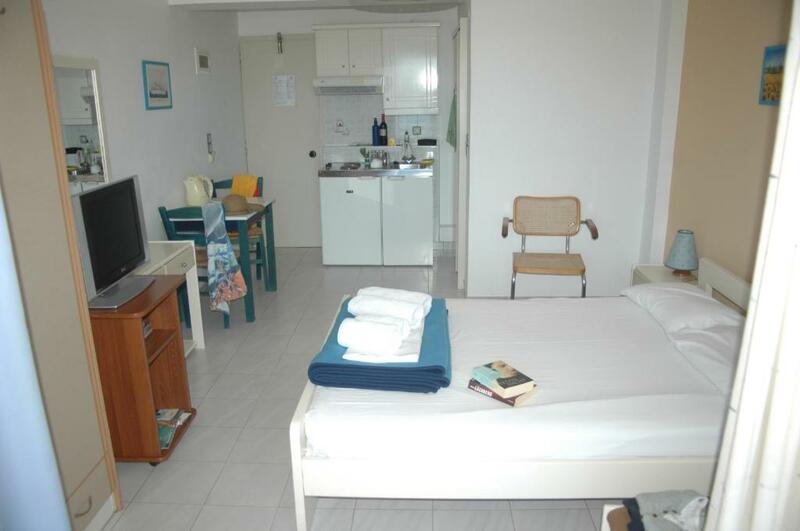 Studio with open-plan bedroom/living room with 1 double or 2 single beds, kitchenette, WC/shower, air conditioning, satellite TV, safe and a large balcony. 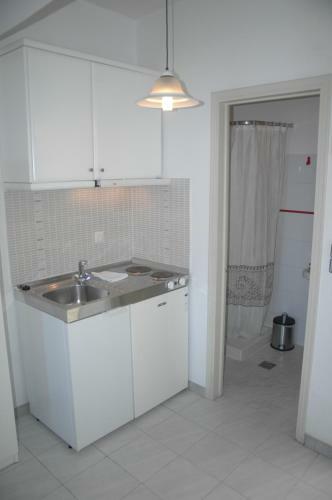 Apartment with 1 bedroom with double bed, and separate living room/kitchenette. 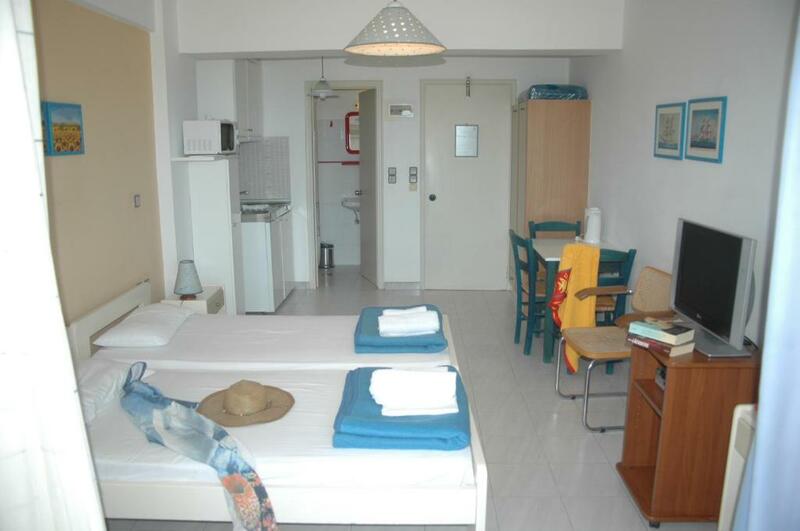 It is equipped with a WC/shower, air conditioning, satellite TV, safe, and a large balcony. House Rules Portobelis Apartments takes special requests – add in the next step! Portobelis Apartments accepts these cards and reserves the right to temporarily hold an amount prior to arrival. Please inform Portobelis Apartments of your expected arrival time in advance. You can use the Special Requests box when booking, or contact the property directly using the contact details in your confirmation. The only thing was the slightly cramped shower room but the shower itself was fine. Drainage in bathroom - but that was a very minor issue. The water closet was very very small and cramped.